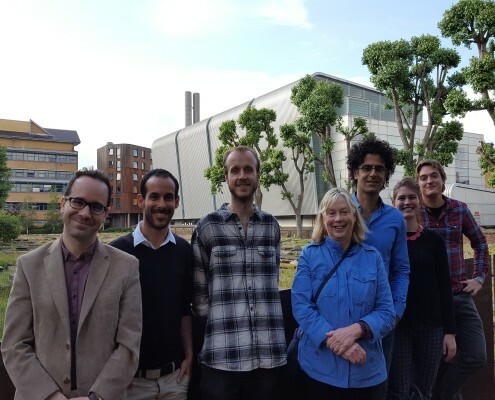 On June 17th, several members of the European Hobbes Society met to discuss a draft of Arash Abizadeh’s important, book-length analysis of Hobbes’s moral philosophy. 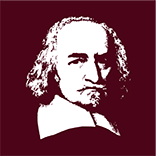 Abizadeh’s manuscript incisively combines rigorous textual interpretation with powerful philosophical analysis to cast new light on Hobbes’s ethics and meta-ethics. The workshop covered numerous features of the book, from fine details of interpretating Hobbes to broader issues of framing. We then discussed a draft paper by Signy Gutnick Allen which offers a penetrating analysis of Hobbes’s theory of the right to punish. 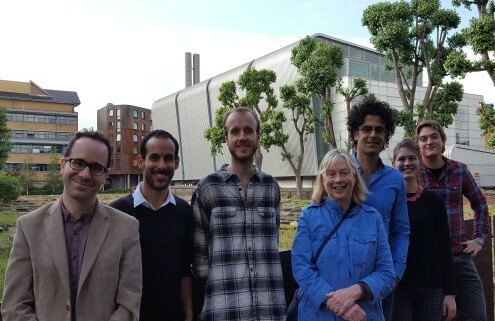 Those present, from left to right in the picture above, were Adrian Blau (King’s College London), Elad Carmel (Oxford), Robin Douglass (King’s College London), Deborah Baumgold (Oregon), Arash Abizadeh (McGill), Signy Gutnick Allen (Queen Mary, University of London), and Paul Sagar (Cambridge).